The new 2012 Porsche 911 is at home in either the heavy snow or on a sunny day. 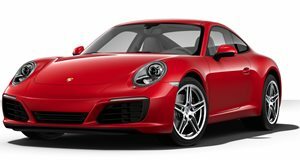 Two new videos have been released of the 2012 Porsche 911. The first video shows the 911 testing in the snow, and its superior engineering and handling in some of the most perilous conditions. The German automaker is trying to build excitement for their latest installment of the classic 911 and these two videos show the versatility and range of the 911&apos;s performance. The second video is a Porsche promo that shows the 911 racing on some country roads and hitting some tight and twisting turns.